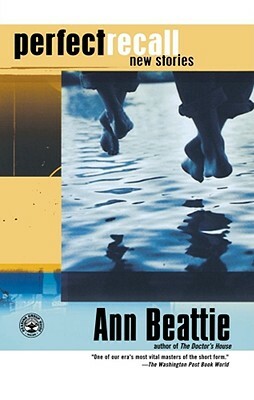 Ann Beattie published her first short story in The New Yorker in 1972. Twenty-eight years later, she received the 2000 PEN/Malamud Award for Excellence in Short Fiction. She is, as the Washington Post Book World said, "one of our era's most vital masters of the short form." The eleven stories in her new work are peopled by characters coming to terms with the legacies of long-held family myths or confronting altered circumstances -- new frailty or sudden, unlikely success. Beattie's ear for language, her complex and subtle wit, and her profound compassion are unparalleled. From the elegiac story "The Famous Poet, Amid Bougainvillea," in which two men trade ruminations on illness, art, and servitude, to "The Big-Breasted Pilgrim," wherein a famous chef gets a series of bewildering phone calls from George Stephanopoulos, Perfect Recall comprises Beattie's strongest work in years. It is a riveting commentary on the way we live now by a spectacular prose artist.